Dr. James W. Cooley was born on September 18, 1926. He received his B.A. 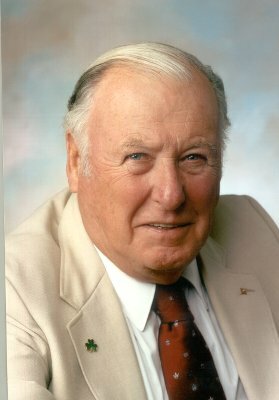 degree in 1949, from Manhattan College, his M.A. degree in mathematics in 1951, and his Ph.D. in applied mathematics, from Columbia University. From 1953 to 1956, Cooley was a Programmer at the Institute for Advanced Study in Princeton, New Jersey, and employed at the Computing Center of the Courant Institute of Mathematical Sciences, at New York University, where he engaged in quantum-mechanical computations. In 1962, he joined the IBM Corporation, working in numerical analysis and computation. His work included the calculation of molecular wave functions, the solution of of the partial differential equations of several models of biological membranes, and the solution of electro-diffusion equations for semiconductors. In 1965, Drs. James W. Cooley and John W. Tukey (IEEE 1982 Medal of Honor recipient) published a paper describing the Fast Fourier Transform (FFT) algorithm, which led to an explosion in digital signal processing. Their landmark research offered enormous improvements in processing speeds and played an essential role in the digital revolution. Today, digital signal processing is an integral part of communications, information processing, consumer electronics, control systems, radar and sonar, medical diagnosis, seismology, scientific instrumentation and more. The motivation for FFT was provided by Dr. Richard L. Garwin, at IBM Watson Research, who was concerned about verifying a Nuclear arms treaty with the Soviet Union for the SALT talks. Garwin thought that if they had a faster faster Fourier Transform, then he could plant sensors in the ground in countries surrounding the Soviet Union. He suggested the idea of how Fourier transforms could be programmed to be much faster to Cooley and Tukey. The sensors were were planted; as a result, they were able to detect nuclear explosions within a 15 kilometer radius of where they were occurring. Following the paper’s publication, Dr. Cooley determined to help others understand the algorithm and its use. While at the IBM Watson Research Center in Yorktown Heights, N.Y, he made countless contributions to the promotion of the FFT, including serving for many years on the Digital Signal Processing Committee of the IEEE Acoustics, Speech, and Signal Processing Society (now the IEEE Signal Processing Society). His IEEE Arden House Workshops also laid the groundwork for the IEEE Signal Processing Society. After his retirement from IBM in 1991, he joined the Electrical Engineering Department at the University of Rhode Island. Today he serves URI as an adjunct and continues to participate in research projects in signal detection. An IEEE Fellow and a member of the National Academy of Engineering, Dr. Cooley received several IEEE Society awards and an IEEE Centennial medal.